They say there’s an app for everything and carpentry is certainly not excluded from that. With all the apps available, it can be confusing to figure out which ones are best suited to helping you run your contracting business. Fortunately, we’re here to shorten that list and let you know which apps are the best apps for carpenters and woodworkers are. Not only should your business be using these apps because they are convenient, but because it will give you a competitive advantage. As times change, so should your business. As technology offers new and better ways to complete tasks and run your business it’s up to you to adopt the technologies that make your business better your competition. Whether your customer wants measurements, estimates, or a design plan, these apps can help you do it better. Measure twice, cut once. Yes, it’s a cliche but any woodworker knows that getting the measurements right are absolutely vital for any project. 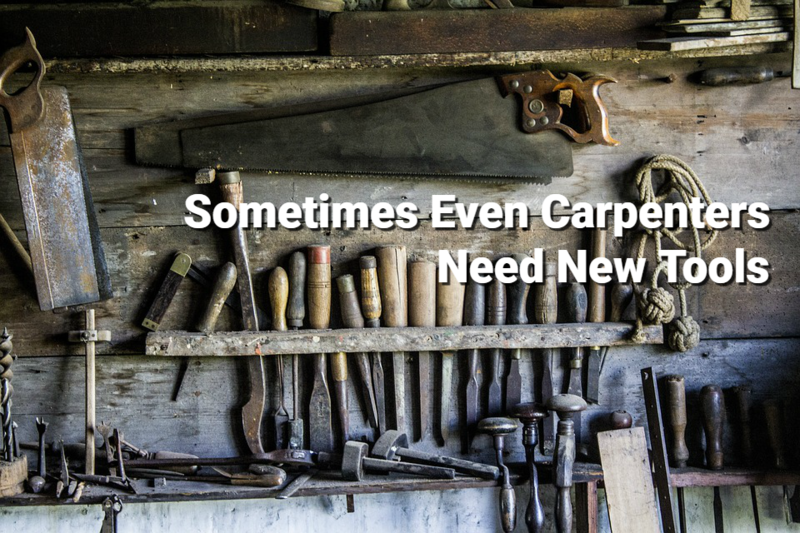 This is one of our favorite carpenter apps because it’s just so simple to use. Snap a photo, add your dimensions in the easy to use interface and you’re good to go! The PlanGrid App is available on iTunes and Google Play for $6.99. Easily find the distance, width, and height of any object with this user-friendly app. It uses trigonometry to find the numbers you need without the hassle of a tape measure. This is one of our favorite apps because we can always count on an accurate, fast reading. Make sure you calibrate it correctly then set your phone on the ground, aim at your target, and let this handy app do the work. The Smart Measure App is available on GooglePlay for FREE. This portable level is always on hand anytime, anywhere. Easily calibrate on the first use and you will always be ready for unexpected projects or something as simple as hanging a frame. Like a real level, the bubble will signal when your measurements are straight and give you a reliable and accurate reading. This app will come in handy for an advanced carpenter or for an average Joe who just needs to use it around the house. The Stanley Level App is available on iTunes for FREE. Throw out the graph paper, this app is the best place to visualize your projects. This app is geared towards an advanced carpenter by using basic elements of CAD and would be difficult for beginners. Start with a blank screen and create nearly any project in 2D or 3D, or easily switch between both. Move and align lumber with the accurate grid which can be as precise as 1/64th of an inch. Woodcraft will take your carpentry to the next level, there is no better app for designing and planning. The Woodcraft App is available on iTunes for $19.99. On top of actually doing your carpentry work, you also need to be creating quotes and cutting invoices to your existing clients. This is no small task for a small business owner, but JobFLEX is an app that can make your life a whole lot easier! This estimating and invoicing app for carpenters lets you generate estimates as you walk a job site, adding items, descriptions and prices with a few taps on your Android device. Those estimates can seamlessly be turned into a PDF invoice and emailed once the job is complete. The JobFLEX app is available on the Google Play Store and has a free trial available.